I haven't fleshed out the description for the new list yet, but the general gist is it takes the ideas from this list and trims down the CMC (TappedOut doesn't do CMC for split cards correctly, so the number it reports is wrong), adds protection effects, efficient standalone token producers, efficient targeted clone spells, and tries to go instant speed where it can, and it removes the slow, narrow, and situational cards. 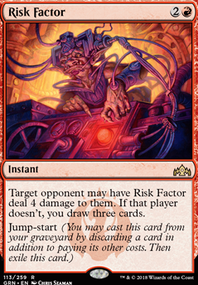 In general, it's faster and more resilient with fewer dead cards and more potential to win out of nowhere. Mentor effects: Talrand, Sky Summoner , Docent of Perfection Flip, Metallurgic Summonings : Mentor effects are slow, removal magnets, and generally not as good as efficient standalone token producers (the same four mana for Talrand gets you five creatures immediately off Hunted Troll ) or clone spells. These three were cut because they're the most expensive, plus Talrand and Summonings don't have the same synergy with the added clone effects. Targeted token makers: Adverse Conditions , AEther Mutation , Supplant Form : Expensive, replaced by cheaper clones like Quasiduplicate . Clones have additional synergy with Hunted creatures and the few ETB utility dudes ( Eternal Witness , Imperial Recruiter , Spellseeker ). Wincons: Berserk , Confront the Unknown , Fiery Gambit , Willbreaker : Berserk and Confront have been replaced by Appeal / Authority , though Confront might still be better. Gambit is a 3-mana wincon that's annoying to resolve and still doesn't win through infinite life like LabMan does. 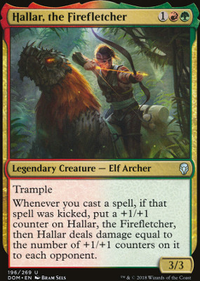 It's been replaced by Kari Zev's Expertise , which is a wincon, untap/haste effect for Earthcraft, Cryptolith Rite, and Natural Affinity, and also has the insane ability to cast a spell from your hand for free for each creature, and each of those spells then gets copied as well. Willbreaker is painfully slow, requires you to cast another spell to actually do anything, and doesn't even give the haste/untap from red threaten effects. If the deck needs to pass the turn after it tries to go off, Willbreaker's likely going to get removed anyway. Synergy: Isochron Scepter and Unsubstantiate : Too slow, and your cheap instants are redundant enough that you don't really need to be able to repeat a specific one. Plus, most of the time you'd want to put a cantrip on it, and Scepter actually increases the cost of those. These are slow win-more cards that look clever but don't actually end up doing much in practice because the deck is already plenty redundant. Hexproof equipment: Swiftfoot Boots and Champion's Helm : Cut for Lightning Greaves . Shroud looks anti-synergistic, but the zero equip cost means you can move it over to a token on your turn when you're ready to do things and it can be used to give a mana army haste for Cryptolith Rite or Natural Affinity. If you need to protect Ink-Treader while actually going off, shroud is worse than hexproof, but generally you'll just wait to go off until you have a protection spell ready. Cantrip: Shadow Rift : This was actually the hardest cut. Instant-speed targeted cantrips are what makes the deck tick, and for a while I had Refocus in. I eventually decided that the difference between 10 and 11 1-mana cantrips was negligible, and Shadow Rift is the worst one (it does literally nothing; everything having shadow is the same as nothing having shadow). All of the others have at least some utility or synergy. There's actually an infinite combo in the deck with Spellseeker + Earthcraft/Cryptolith Rite: With one of the rampchantments and Inktreader in play plus some mana to start, cast Spellseeker into Twinflame . Twinflame (radiated) copies Spellseeker and gets more hasty dudes to tap for mana. New Seeker gets Regrowth , which gets Twinflame back. Twinflame again gets you even more dudes, plus two new Spellseekers. One of those seekers gets Eladamri's Call into Eternal Witness , which gets Twinflame back, the other seeker getting a cantrip. The next Twinflame not only gets you four more seeker-tutors, it also gives you another Witness, which can get back Twinflame again, and further Twinning makes multiple Witnesses so you can get back your graveyard, all while drawing your deck through the cantrips you've seeker'd up and getting an infinite army of hasty dudes for attacking and mana (you're tapping two for Twinflame mana every iteration, but each cast doubles your army size). 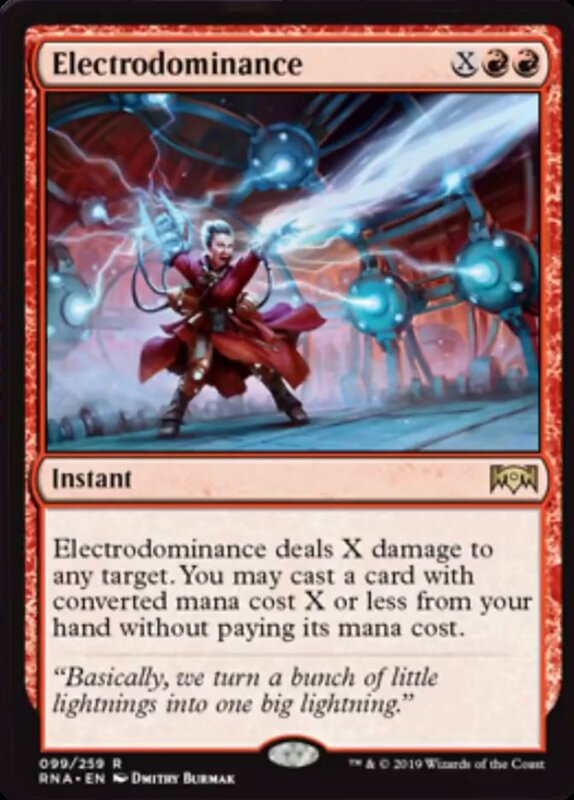 The most exciting single new card by far is Electrodominance . For a long time I had Savage Summoning in the list because instant speed is so important for combo decks, and this just replaced it. Dominance has the downside of not being able to cast Ink-Treader from the command zone, but it works on all spell types instead of just creatures, can be used as removal in a pinch, AND it's targeted, which means it has the Kari Zev's Expertise effect of casting a free spell for each creature on the field that then also get radiated. We play targeted indestructible effects for protection and Pongify anyways, so you're likely to not even reduce the creature count from the Dominance damage. EOT radiated Electrodominance for X=3 is generally game. 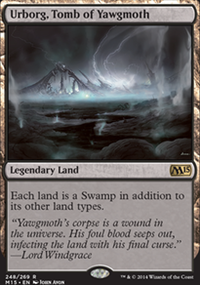 Boza on Would this improve my deck? saluma on Would this improve my deck? Hello. So I played modern with a freind who played Electrodominance in a Living End deck. I though that combo looked really cool and powerful. I have a grixis control deck Bolas competative control and now ask this wounderful community for opinions and advice once again. Do you think the deck would be better if I'd cut 3 Remand s and 2 Cryptic Command for 2 Ancestral Vision and 3 Electrodominance ? 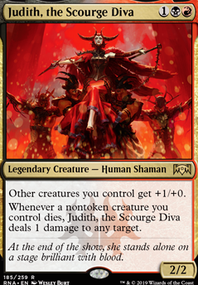 or maybe add 2 Electrodominance and 1 Kolaghan's Command ? Or just keep 1 cryptic and add 2 vision and 2 dominace? Smothering Tithe , Sanguine Bond , Electrodominance ... No synergy needed with these, they can just perform well in a standalone capacity. Treasure Map Flip, Thaumatic Compass Flip, and Settle the Wreckage all work better with Reclamation but nothing to praise. In previous versions I tried both Skarrgan Hellkite and Biogenic Ooze . While they can steal games, they are too clunky. Circuitous Route on the other hand, is an enabler. It ramps, which sets off Compass early and pays off with Hope, Zacama, Electrodominance, and March. 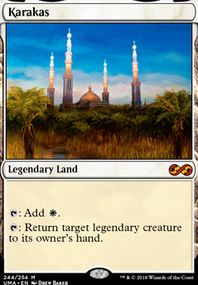 Turn one gate isn’t a big deal since there is nothing at the one drop spot. With this version, of the ten games I have played B03 in Arena so far, I have won eight. (At platinum right now). Beat Azorius weeny, mono blue tempo thanks to early compass, Sultai Midrange, 3 gate decks (one Expansion / Explosion version) a jank mono black chromatic lantern, Grixis Control, and losing to Azorius weenie and Temur Reclamation. Also, Banefire is a sorcery so that’s why I haven’t paired it with Reclamation. 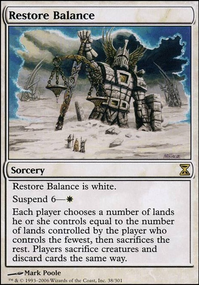 I would toss in an Isochron Scepter and maybe a few more mana rocks so you can infinite untap Persistent Petitioners with your Dramatic Reversal if that's something you'd like. You also can make infinite mana with that and pay into things like Blue Sun's Zenith , Braingeyser , Explosion, Fascination , Prosperity , Skyscribing anything like that which is an entirely different direction but can still work well with your commander, which you can also run Electrodominance , Earthquake type cards and gives you more wincons. Not sure if any of that is helpful or if that's the direction you'd like to go with it.